These three patterns were inspired by and created from an old single motif design and were made using a lattice filter. 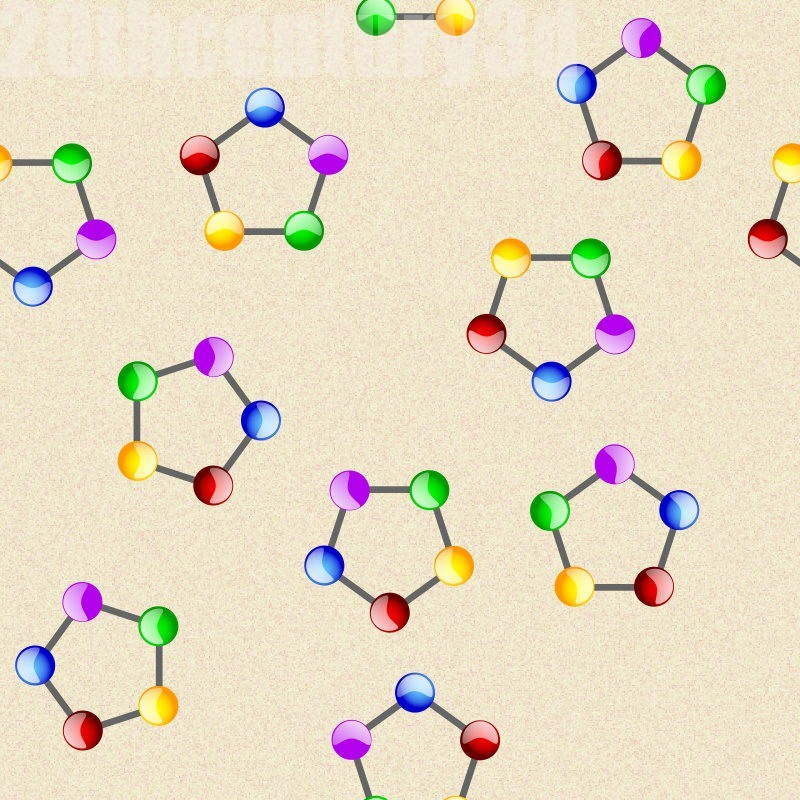 The effect is both a powerful and a useful one and this technique has now been added so that some further designs can be made. They are intended not for fashion but as 3D textures for interior designs and visualizations. A more modern fabric design, or is it? ‘Atomic fabrics’ as they were called echoing the new discoveries in physics appeared throughout the 1950s creating a new and very modern style. However, one glance at the colour scheme shows that this is a modern design although it does have very mid-century roots. It’s an idea that perhaps should be in use more today. The work was created in Daz Studio using a Genesis 2 model and the Patti top while the pattern itself was made using Xara Designer. This fabric design is a simple one and it’s one that I really like but it’s also one that never looks as good turned into a virtual fabric as you think it should! 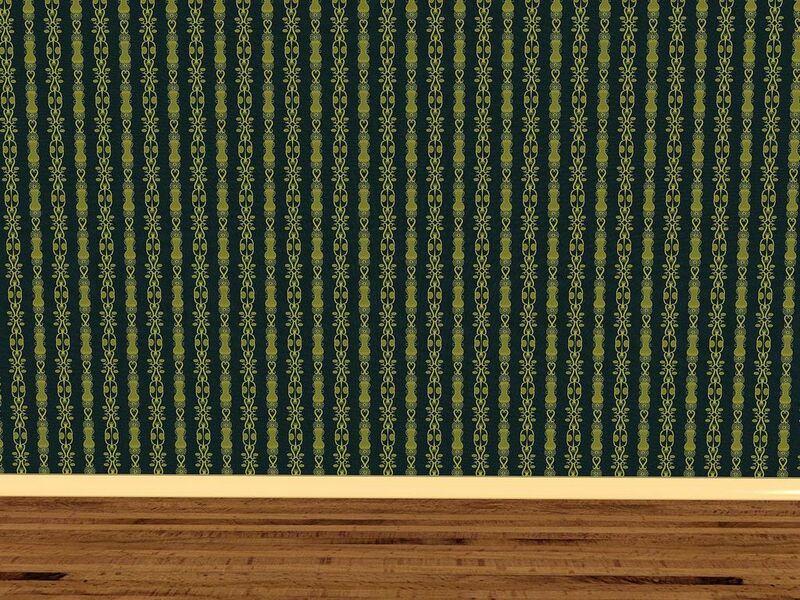 The colours used are mid-century and maybe the design is too since I am sure that a simple pattern like this must have been used then. The whole was created in Daz Studio using a Genesis 2 model and the Patti top while the pattern itself was made using Xara Designer although begun in Illustrator. I really don’t like florals; it’s just a personal thing because I know a lot of people do. For that reason I don’t really do them, except on those occasions when I do and this is one! I did this for a special wall covering which I can present to you here on a room that was created in Cinema 4D quite some time ago. 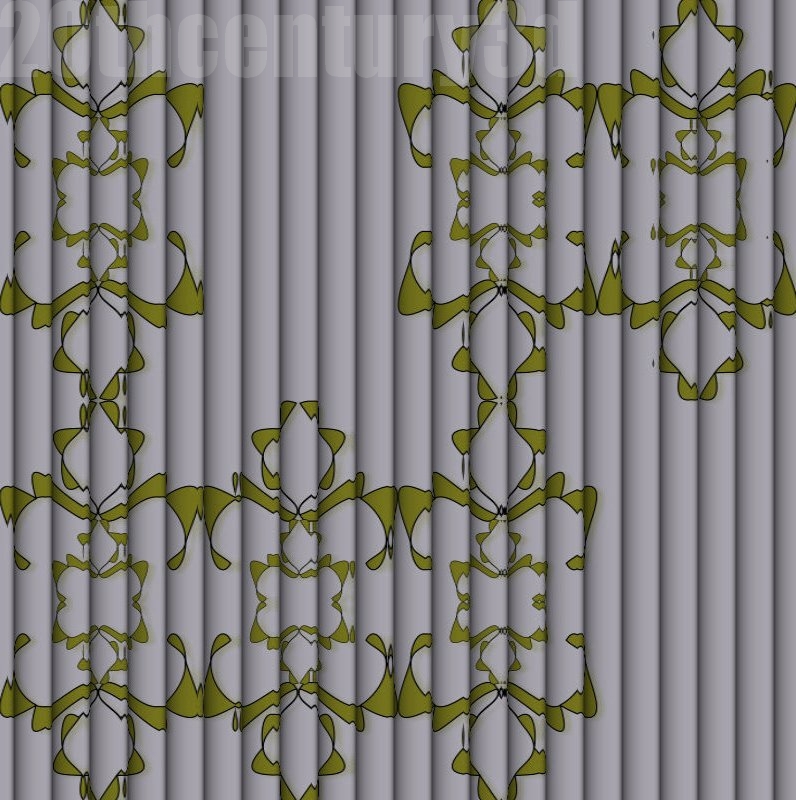 The idea was to use the same pattern for the fabric of the curtains as is used for the wall covering and I think that the idea worked well with this design. 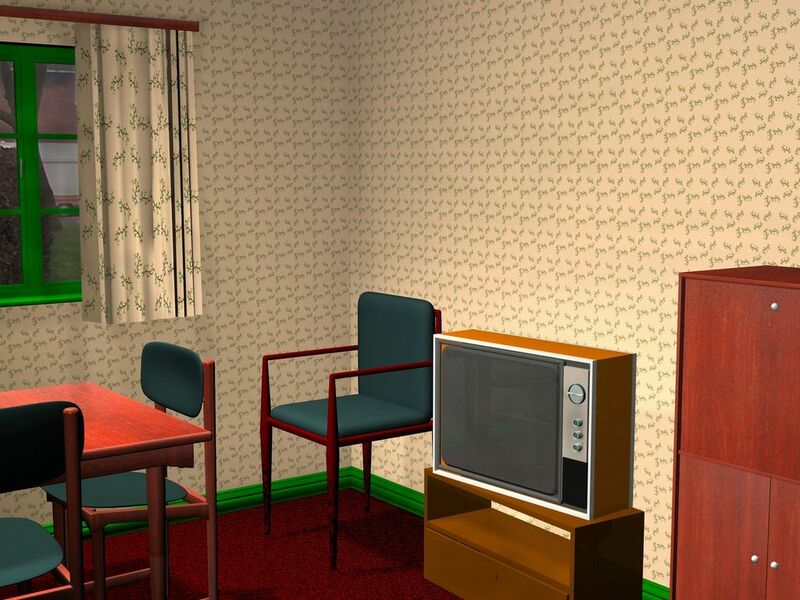 As is obvious from the design, this is very much a mid-century and pre-1965 pattern. The pattern was created in Xara Designer and the scene assembled and rendered in Daz Studio. I really don’t like florals; it’s just a personal thing because I know a lot of people do. For that reason I don’t really do them, however, this is a sort of exception; it’s my mechanical version of florals! This image uses the same background, model and clothing of the previous images in what I think is a better and more realistic render as I have adjusted the lighting. As before the pattern was created in Xara Designer and the scene was composed and rendered in Daz Studio. 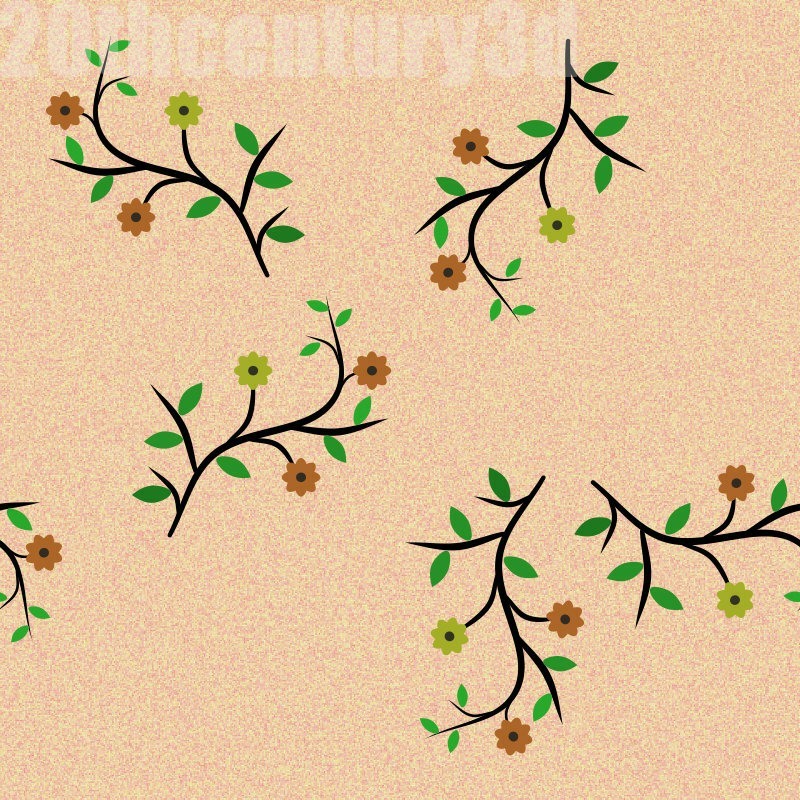 This fabric design is perhaps a more modern one than the designs I often use but it is nevertheless a star pattern! The colours used are still mid-century and I am sure that the motifs, being universal ones, would have been in use although perhaps the placement and overall feel is more modern. The backdrop is a very good one from, I think, Jack Tomalin and is available from Daz while the figure is a Genesis 2. A little different from the one I have been using but I think it looks all the better for being more of a picture. 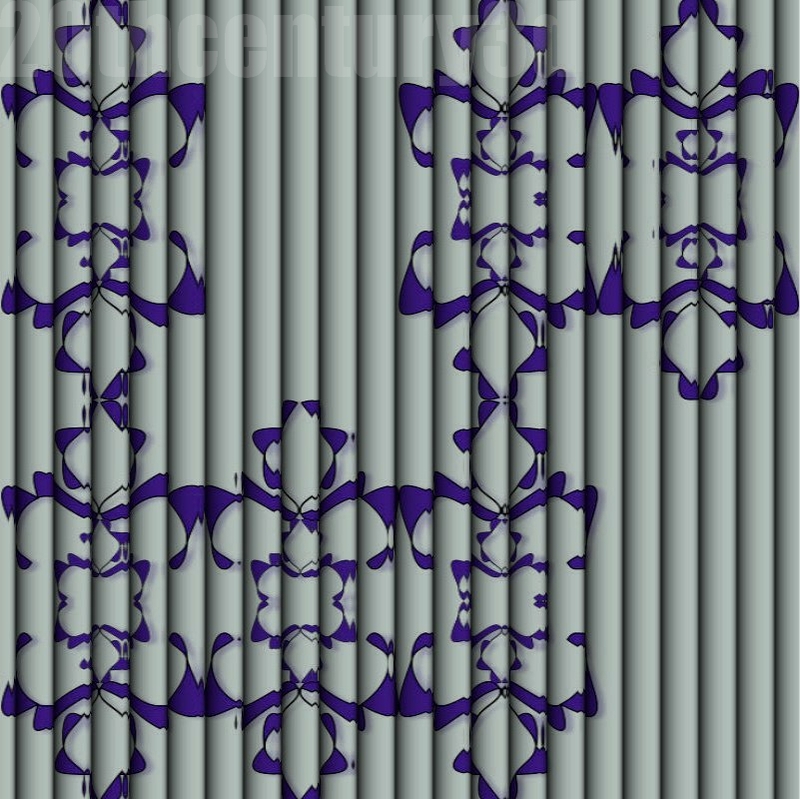 The pattern was created in Xara Designer although begun in Illustrator. From floors yesterday to wall-coverings there is little physical distance but there is a very big distance in terms of the design constraints. 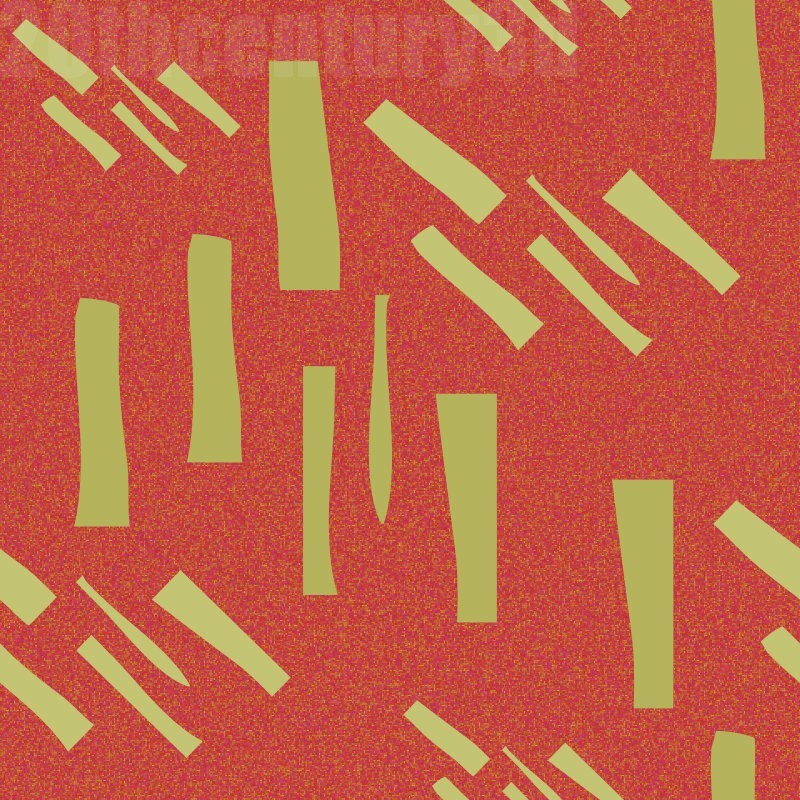 This is a fairly standard mid-century design intended as a wallpaper pattern and designed for use on all walls as well as a feature wall, so common in mid-century houses. 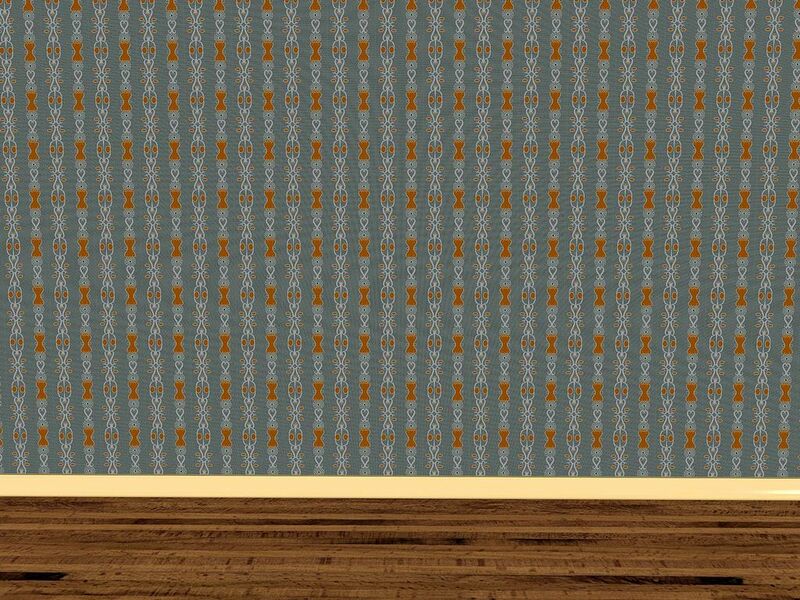 The design is adapted from various designs of the time and the colours for the backgrounds are mid-century inspired. 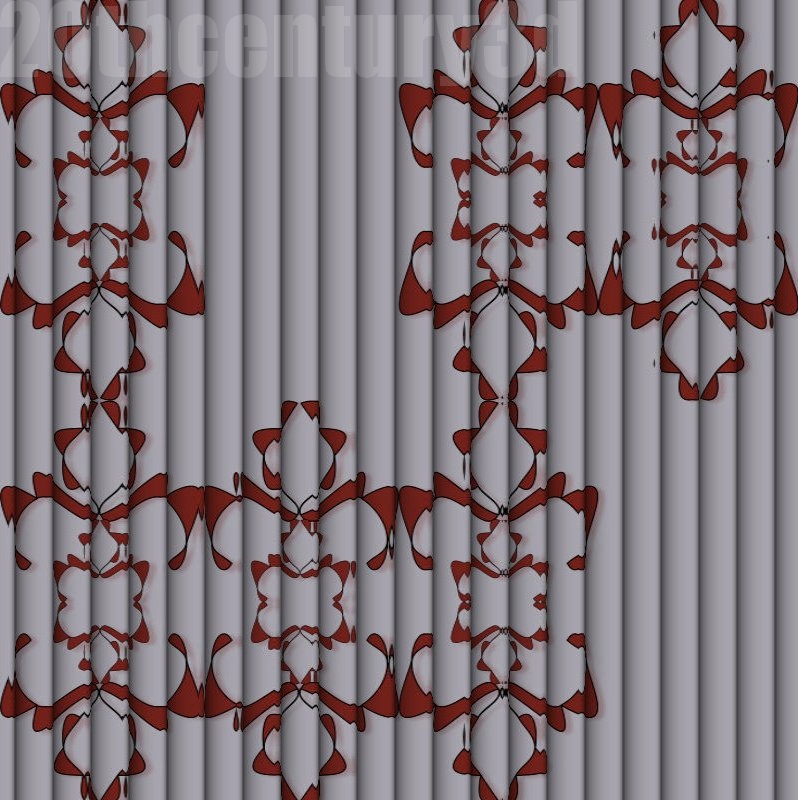 The pattern was created in Xara Designer and the set assembled and rendered in Shade.